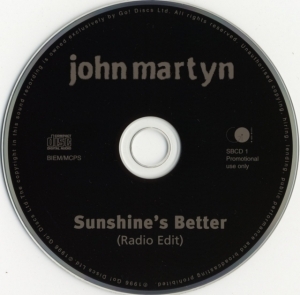 Released around 1st August 1996 this rare 1 track promotional CD of Sunshine’s Better (SBCD1) from John’s album And. Go Discs! announced that a single was to be released on both CD and 7 inch single however it never materialised! Very few of these promotional discs were produced, there is no sleeve or artwork, just the CD.